Ashleigh is a Scottish qualified corporate lawyer who has over 6 years’ experience working in private practice. Prior to joining Al Tamimi, Ashleigh worked for an international law firm advising a wide range of clients, from start-ups to PLCs, on all aspects of corporate transactional and commercial work. This includes private equity investments, mergers and acquisitions, corporate structuring, IPOs, joint ventures, commercial contracts and general corporate advisory work. Within the Private Client Service, Ashleigh continues to focus mainly on corporate and commercial matters, advising corporates, high profile and high net worth individuals and family offices on all aspects of their businesses, including shareholder disputes and other highly sensitive matters. 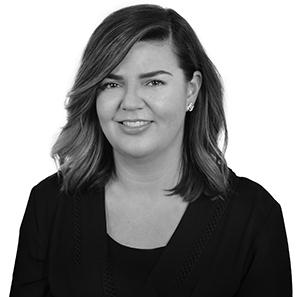 Ashleigh prides herself on being pragmatic and commercial and seeks to gain a real understanding of her clients’ businesses to help provide the most effective and efficient legal solutions. Advising a UAE based education management company on the exercise of a call option. 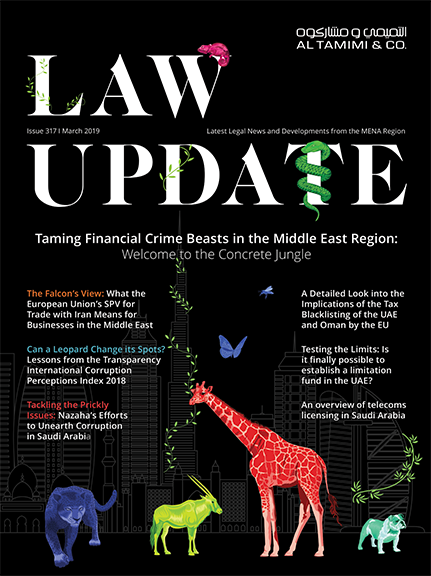 Advising a UAE based trader and manufacturer of agricultural commodities on a family shareholder dispute. Advising a UAE based food and drink distributor and retailer on a dispute with the Federal Tax Authority. Advising a UAE based medical software and services provider on a range of commercial matters and an investor dispute. Advising The City Pub Group plc, a London based pub group, on a number of its pub acquisitions, general corporate and commercial advisory work and its admission to the Alternative Investment Market in 2017. Advising Business Growth Fund plc, a UK private equity and venture capital firm, on a number of equity investments into high growth companies. Advising Genius Foods, the UK’s leading gluten free bakery, on its acquisition of a gluten free product production company, and on a range of commercial matters.